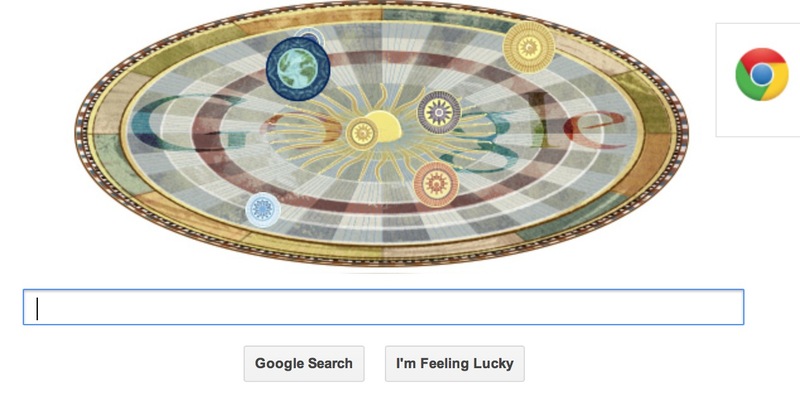 I was therefore quite pleased to see the doodle that Google used yesterday to commemorate Copernicus. The doodle shows the planets of the Solar system orbiting their parent star. Happy birthday Copernicus.